Stylish cafe the Birdhouse has a range of hot drinks available as well as a compact food menu. 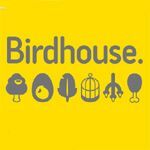 What did you think of Birdhouse? I like this place, the coffee is excellent the bocaditos exceptional, the decor is very East London, no swirly carpet/upholstery in here! But....the service....where shall I start? I have had to laugh, on my recent visits the coffee has been lukewarm - Apparently I am meant to say when ordering I want it hot.....when it came back the last time it was a little better, but still could have been hotter. I will be back because I adore good coffee...(and I must remember to say "hot"). This is a welcome addition in a pleasant road devoid of mediocre coffee chains which makes it special, I do hope they manage to "iron out" the negative issues. Definitely has potential - good set up and good coffee, would have loved to have tried the food but the terrible service and attitude forced me away. I've seen a few reviews for this place about their attitude towards anyone with a pram.. I went in, yes it was the weekend but it wasn't even a 1/4 full. There was a HUGE space right at the front (multiple free tables and seats) and as my baby was asleep I couldn't really wake him up to leave the pram outside. I did say when I arrived that if it looks like it's going to start getting busy I'd happily vacate, however rules were rules and there were no exceptions I was told. Even though I had sat down and asked for a food menu, and also ordered a coffee during this time I was told I had to sit outside. No problem, I moved and sat outside. I would say the staff obviously have no attention to detail or customer service skills - If I asked for a menu and ordered a coffee while asking for a table, at a guess do you think I was planning on eating/drinking there. When my coffee came out I was given it in a take away cup? I asked if I could have it in a normal cup as I was planning on staying and ordering some food - How retarded that the response from the staff is not one of "i'm sorry, sure I'll sort that out for you" like any half decent cafe who rely on customers to earn an income but one of "I thought you were leaving". Plain and simple. No discussion. Then she walked off. No.. no I wasn't. What gave you that impression. At a guess and based on other reviews that i've read this is their standard attitude and response to people who don't fit into their ideal customer base i.e. people with kids. Words of advice - train your staff, lose the attitude and have some respect for paying customers. While you may not care or notice, I go out of my way to tell people (that includes other parents looking for good coffee) to steer well clear of this place. Now that we’re not allowed to shop in Starbucks anymore (pay your taxes, people) the independent coffee shop has really come into its own. And good thing, too. Local indies like the Birdhouse in Battersea go to show exactly why we need fewer chain cafes on our High Streets. Forget cafes that look like your granny designed them. Birdhouse is cool. Very cool. The colour scheme is simple but eye-catching with dark slate grey punctuated by flashes of vibrant yellow – it looks more like a street fashion shop than a café from the outside. Even the furniture sticks to the theme with cute little wooden tables surrounded by grey and yellow chairs. It’s not the largest space in the world but it’s well-contained and you don’t feel squashed in, even when it’s busy. One feature wall showcases kitsch images of birds and the large serving table displays all manner of tasty treats. This is a café of the future. When you discover the owners started life as graphic designers it all becomes very clear why the design of this place is so, so good. Sure, sure, Pret, Café Nero and Starbucks have all stepped up their customer service training so you’re greeted with smiles and reams of robotic but happy responses to your requests, but there’s always a special something missing. At the Birdhouse the smiles are more genuine. They may not write your name on their cups but they remember who you are. And you won’t constantly be upsold. Sweet relief. Prices at Birdhouse are in keeping with those big chains – you’re looking at around £5 for a small lunch or breakfast and a few quid for a pastry or cake. The real highlight of the food menu are the bocaditos (ciabattas are SO passé). The Spanish word for snack, these are toasted sandwiches filled with fresh, meaty serrano ham with a delightful saltiness, soft and sweet oven-roasted tomatoes and a creamy Iberico cheese. If you don’t fancy ham then the options are all intriguing – marinaded pork, anyone? Where some cafes overcook the sandwiches and only half fill them, here they are toasted just enough to be crisp and the filling nicely hot. And that filling is, well, full. If you have a sweet tooth then they have all manner of delightful pastries to get stuck into, with the selection changing regularly. The coffee at the Birdhouse is from Climpsons and Sons – so you’ll be supporting more than one independent business – and it is good. They are famous for their flat whites which, if you enjoy them in-house, arrive in yellow cups in keeping with the decor. You can also opt for takeaway here but the queue can get very long so you need to be patient. Apparently the word about the great coffee here has got out. Birdhouse shows why it’s so important to have variety on our High Street. Job well done. By all means best coffee place in Wandsworth! A hidden germ indeed! Delicious and elegantly served food, tasty and rich coffee, creative interior and friendly service can make a difference, and the Birdhouse definitely does that. Honest and organic, just great. Tried and tested, truly recommended.